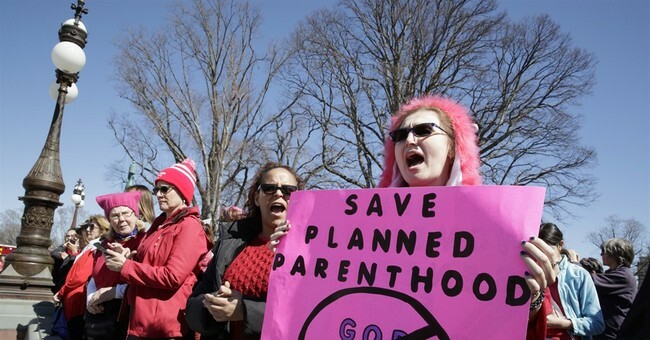 A federal appeals court upheld a three-judge panel’s ruling Monday that Arkansas can cut off Medicaid funding to Planned Parenthood. The 8th U.S. Circuit Court of Appeals denied a request, brought by three Planned Parenthood Great Plains patients, to reconsider the August decision which vacated an injunction preventing Arkansas from stopping Medicaid payments to the nation’s largest abortion provider. Arkansas Gov. Asa Hutchinson (R) decided to end the state’s Medicaid contract with Planned Parenthood in 2015 following the release of undercover videos by the Center for Medical Progress which showed the abortion group’s alleged trafficking in unborn baby body parts. "It is important for the state to have the clear authority to terminate Medicaid providers who act in unethical ways and in violation of state policy," Gov. Hutchinson said in a statement. "The decision early on to terminate Planned Parenthood as a provider was the right decision, and I am delighted with the decision of the 8th Circuit Court of Appeals in affirming the right of the State to take this action." Judd Deere, a spokesman for Arkansas Attorney General Leslie Rutledge, supported Monday's ruling in a statement to Arkansas Online. "Attorney General Rutledge is pleased with the court's decision to deny the request for rehearing, which reaffirms that Planned Parenthood and the three patients it­ recruited could not contest in federal court Arkansas's determination that a medical provider has engaged in misconduct that merits disqualification from the Medicaid program," Deere said in an email. Planned Parenthood will evaluate their options going forward, however, they could potentially appeal the decision to the Supreme Court as the court’s decision illustrates division among federal appellate courts on the issue. Seven other states have all been prevented by federal courts from cutting off Medicaid funds to Planned Parenthood, rulings that were upheld by the 5th, 7th and 9th circuit appeals courts. "Planned Parenthood Great Plains is committed to ensuring all patients in Arkansas retain the right to choose their provider, no matter their socioeconomic status," Planned Parenthood Great Plains President Aaron Samulcek said in a statement. "While we evaluate all of our legal options and next steps, PPGP will keep fighting for our patients in Little Rock and Fayetteville to have access to critical services."